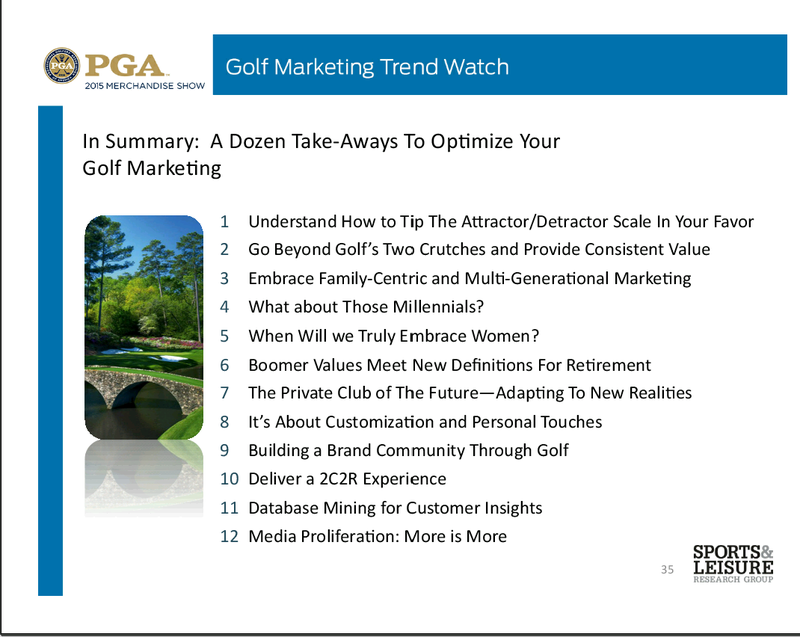 Golfers can be segmented into various behavioral segments and how to market to them. From The PGA Show held January 2015, here are two presentations that our ArrowCreek golfers should find very insightful. This entry was posted in Golf, Golf Industry and tagged ArrowCreek, ArrowCreek 411, ArrowCreek411, Behaviorial Segmentation of Golfers, Golf, golf industry, Sports & Leisure, Sports & Leisure Research Group, Sports Illustrated Sports Group. Bookmark the permalink.